Made any time lapse videos? If you have made any time lapse vids using my script and they are publicly available (youtube, etc) I’d love it if you’d post a link! I’ve still not done anything interesting with it — I have a few ideas but never the right time to sit there with camera and computer for several hours. Sadly nothing worth seeing from where I live or work and even the sky has been cloudless for days so I can’t do the “clouds streaming across the sky” thing. Anyway if you have had better luck, or better ideas, than me lets have a look!
. Besides a bug fix it also allows delaying the start of a time lapse, which is why I call this the Patience release. I had this idea about two days ago — make a lens cap out of the same material used for an ExpoDisc and you can leave it on all the time. Rather begs a DIY version though doesn’t it? I have a cheap 3rd party extra lens cap (bought at great expense in Venice just down from the Rialto when I thought I’d lost my original Nikon cap), which I could merge with a Pringles can lid with or without a coffee filter. 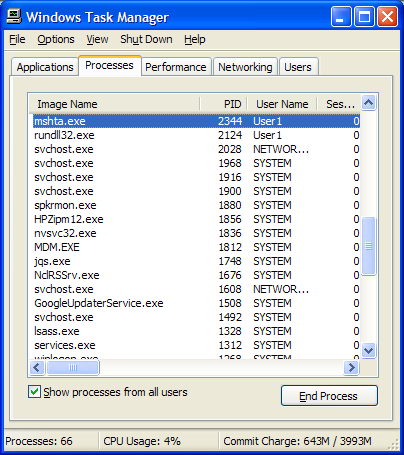 If you find that DIYPhotobits.com Camera Control crashes — then you may be suprised to find it does not appear in the Windows Task manager, so you can’t end the task as you might another application. Well actually you can — but you need to know that it is actually an “HTA” which is a type of Internet Explorer script. So to kill it you need to terminate a process called MSHTA.EXE which is the container for these scripts. So press Alt-Ctrl-Del (or Windows-K) to bring up the Windows Task manager, click on the Processes tab, then find and click on mshta.exe. You may then end click the End Process button. You do not need to reboot or anything else, you can now run the script again. If this happens to you please do let me know the situation (XP/Vista, what camera, and what you were doing right before the crash) so hopefully I can improve the software to avoid it next time. Ok here is a quick video demoing both the features not covered in my last video — and also the new features in 3.0 including Time Lapse. To read the text in the video, click through to youtube and use the “watch in high quality” option.